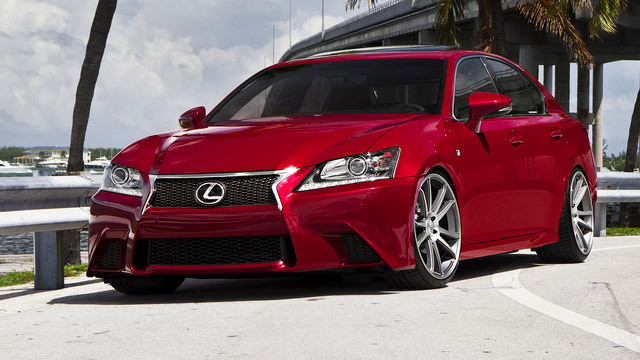 Lexus is an excellent brand of high class, luxury vehicles. If you’re looking for a place to bring your Lexus for auto repair in Eugene, look no further than Action Automotive. We have both ASE-Certified and Master-Certified technicians on staff, some of whom have worked in dealerships as well as repair shops. Each of our auto mechanics has between 20 and 30 years of experience under their belt and participate in regular training to stay up to date on the latest repair technology. At Action Automotive, we hold ourselves to a high standard of ethics and quality when it comes to our customer service. Our service advisors are experts at keeping things moving. It’s their job to keep communication open with the client and to help explain the plan for your Lexus. They do an outstanding job of explaining and answering questions, without underestimating or overselling. We aim to exceed your expectations for both customer service and successful repairs for your Lexus. "Craig and Brian are always courteous, efficient and truthful about the service my car needs. They were highly recommended by a friend and have lived up to and exceeded expectations." It can be a challenge to find an auto repair shop that excels at not just caring for cars, but at caring for people too. If you have been prospecting for a shop having these values, then with Action Automotive, you have truly struck gold! Each member of our team, auto mechanics included, is compassionate and courteous. No matter the auto repair your vehicle requires, we are your shoulder to lean on. To schedule an appointment for Lexus repair, call Action Automotive now. We are located at 1491 West 6th Avenue, Eugene, OR 97402.